Glastonbury elder law attorneys at Nirenstein, Horowitz & Associates help you to prepare for the financial and physical issues that could affect you as you get older or if you fall ill. Elder law attorneys represent seniors who are making plans for the end of their lives, but also younger people who want to achieve a secure future as well as anyone who is focused on protecting assets, providing for their family and maintaining autonomy even in the face of a serious illness or injury. Everyone should talk with an elder law attorney if they don’t already have a financial plan, retirement plan, incapacity plan and estate plan in place. 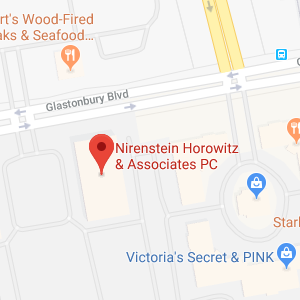 Nirenstein, Horowitz & Associates can provide personalized assistance with the creation of plans that are right for your situation. You can give us a call at any time to get help from a compassionate and knowledgeable legal professional at our Glastonbury elder law firm. You can also take advantage of the information provided in the resources that we have assembled below to give you a better idea of what elder law attorneys do for you and to find out why you need to make a plan for your future. The state of Connecticut’s research on elderly services and programs: This research includes a summary of different programs that seniors could take advantage of in Connecticut, including Medicaid. The research provides details on what the qualification requirements are and what the purposes of different kinds of benefits programs are. gov information on Connecticut Medicaid: This website provides information on Medicaid programs in the state of Connecticut, including general requirements associated with qualifying for Medicaid. Connecticut’s list of licensed nursing homes and convalescent homes: This resource can make it easier for older people in Connecticut to find a qualified nursing home that accepts Medicaid and that provides an appropriate level of care and support. 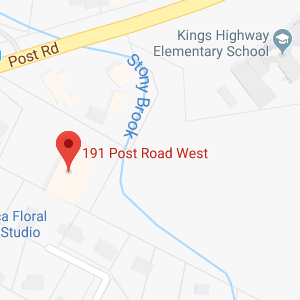 US News & World Report’s nursing home rankings for Connecticut: You can find details about different nursing homes in various parts in Connecticut, including in Glastonbury. You can limit your search to nursing homes with a certain star rating. A Connecticut Partnership report on the costs of long-term care in Connecticut: The report reveals private pay rates for nursing homes, home healthcare services, and other sources of long term care available to Glastonbury residents. Medicare’s information on when nursing home care is covered. As Medicare explains, only skilled nursing care is paid for; custodial care, the care most people need because they require help with routine activities of daily living, is not covered at all. Nirenstein, Horowitz & Associates helps Glastonbury residents to understand the rules for getting nursing home care paid for and provides assistance in making a Medicaid plan so you can get Medicaid to pay for your essential long term care. Making an incapacity plan involves taking control over who will make decisions if you can’t make them on your own, and taking control over what kinds of medical care you will accept and refuse at the end of your life or in a serious medical emergency. If you want to specify that you’ll accept or reject different kinds of care, you need to do this in advance in case a medical emergency arises where difficult decisions must be made at a time when you don’t have the ability to formulate or communicate a preference. A general durable power of attorney form prepared by the American Bar Association: This form provides a clear example of how a power of attorney can be written. You should get legal help writing your power of attorney so your lawyer can make sure you follow all necessary steps to grant authority to a chosen agent if something happens to you. Advanced directives: The state of Connecticut provides sample advanced directive forms on its website. These forms contain documents that will allow you to appoint a healthcare proxy, create a living will, designate a conservator in case of future incapacity and express your preference for anatomical gifts. A nursing home plan will also be helpful in case your incapacitating illness or injury forces you to seek care in an institutional facility or forces you to get care at home. Connecticut estate and gift tax instructions: These instructions provide information on whether your estate will owe taxes when you pass away. Connecticut trusts and estates: The website of the Connecticut probate court explains trusts and estates. Understanding how assets transfer can help you to make more informed choices about estate planning tools to use. Glastonbury elder law attorneys at Nirenstein, Horowitz & Associates can help you to make a Medicaid plan, plan for incapacity, create an estate plan and more. Our goal is to help you be prepared for any tragedy or medical emergency you experience, and to help you plan ahead to achieve financial security and leave your desired legacy. To find out more about the ways in which our legal team can help you with your plans for the future, join us for a free seminar. You can also give us a call at 860-548-1000 or contact us online to get personalized help with a plan that is right for you.